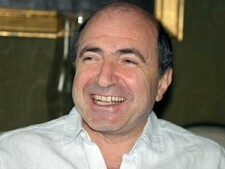 Of all Russia’s oligarchs, Berezovsky had the unequaled talent of combining business interests with involvement in big-time politics. Following the 1996 presidential election, he was given the post of executive secretary of the Commonwealth of Independent States. This appointment gave him direct access to the heads of the former Soviet Union republics. His skills in behind-the-scenes intrigues were legendary, leading to the appearance of myths about his omnipotence. Events of any significance, from acts of Chechen terrorists, to scandals in the elections of provincial governors, to Yeltsin’s resignation, were directly or indirectly attributed to his unscrupulous and self-serving politicking. The distinctive political regime that took shape in Russia by the late 1990s can be described as “oligarchic corporatism.” Behind its carapace, sections of the state bureaucracy and the governing elite joined the economic groups and “clans” to take advantage of the opportunities generated by the redivision and privatization of the former Soviet state assets. State power was highly fragmented, with the regime mediating between the former Communist officialdom, the old economic monopolies, and the expanding financial-industrial business interests. It would be naive to ascribe the rise of the powerful corporatist interest groups and their detrimental effect on Russia’s domestic development simply to “wickedness” and the unscrupulousness of the oligarchs. Their disproportionate and often insalubrious influence during that period was a direct result of the frailty of Russia’s young democracy, with a weak parliament, marginalized trade unions, a financially dependent press, few strong social organizations, and a host of stillborn political parties. All this only served to reinforce the regime’s oligarchical tendencies. In particular, the post-Soviet party-parliamentary system proved to be unable to establish a cooperative framework with the government and to provide the necessary support for the executive. In these conditions, the government had to look for an anchor of stability and found it in the corporatist sector. As a result, it grew increasingly dependent on and beholden to influential interest groups, especially the giant industrial-financial conglomerates. The political regime became entwined with powerful economic interests. PREVIOUS GO TO "YELTSIN'S LEGACY"